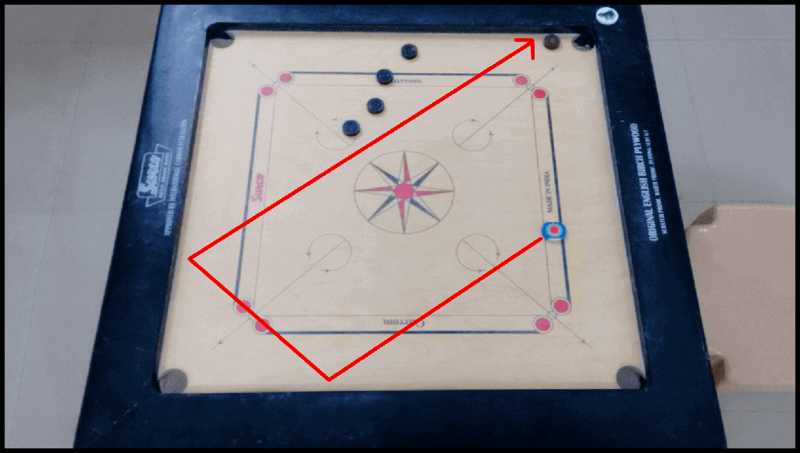 This post shares how and why we began designing mobile carrom game, and what were the early issues we faced. The carrom mobile game we’ve been working on for some time has been giving us new highs! And we found that one of the most exciting moments for a gaming company is when they unveil the first look of their game, Work In Progress! Now is when we best understand the butterflies-in-the-stomach feeling ! And since the team has already finished some cool stuff, we know it’s time to show-off! Humble bragging time! 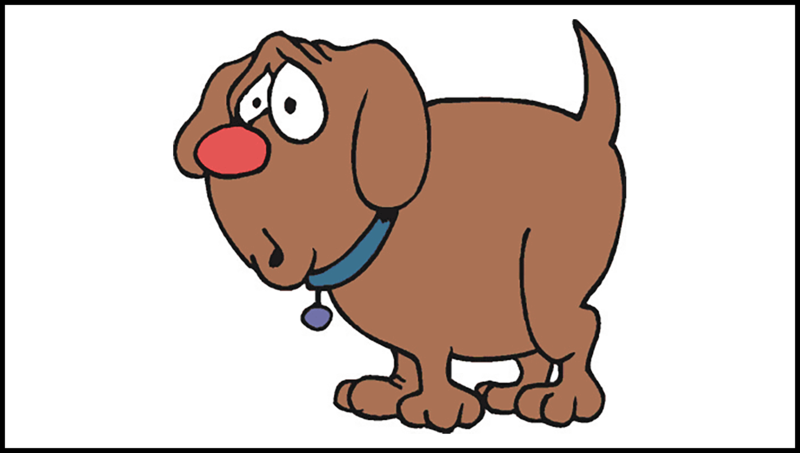 Relax, we’re not getting into the entire history of carrom! You always have wiki for that! Carrom was ‘almost surely’ invented in India and remains one of the most popular indoor games till date. Its popularity is reflected by the fact that it is played as frequently with friends as with family. In fact, it’s difficult to find a household in India that doesn’t own a carrom board! We wanted to make a beautiful mobile carrom game out of this immensely popular indoor game that people have been playing since so many years. And, more importantly, we wanted to make our mobile game for absolutely real, absolutely fantabulastic! So we began by playing the actual carrom (ha ha, that’s pretty obvious, ain’t it?). We weren’t just trying to recreate the visuals - that was relatively easy. 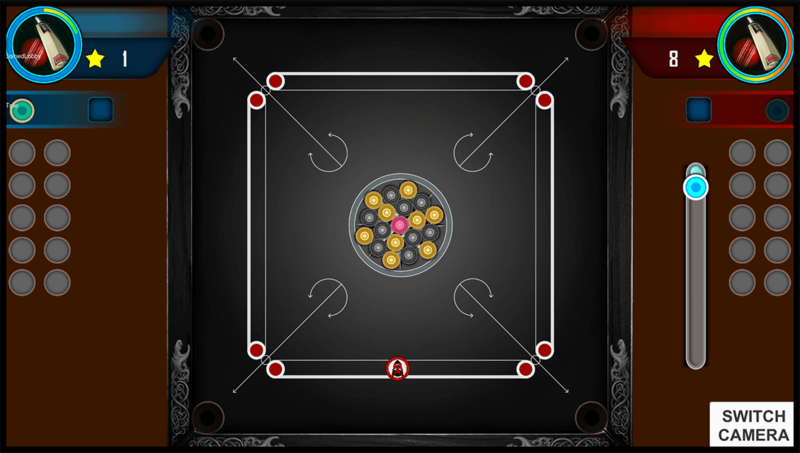 We wanted to figure out the physics behind carrom so that our virtual game provided gamers with the exact experience. 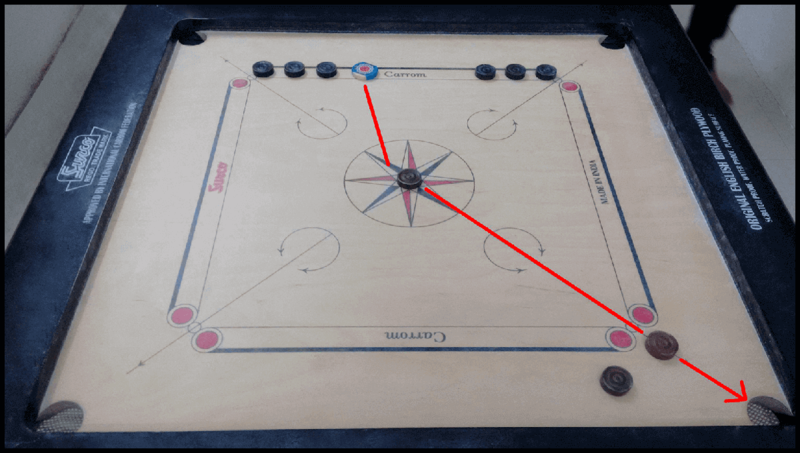 Once we started studying carrom seriously, we realized carrom was special in many ways. For instance, it’s the only game where you’re seated and yet you rely on force, direction and speed to win the game! That meant that we needed to understand friction, force, impact, striking distance, momentum and pretty much everything else that’s physics! 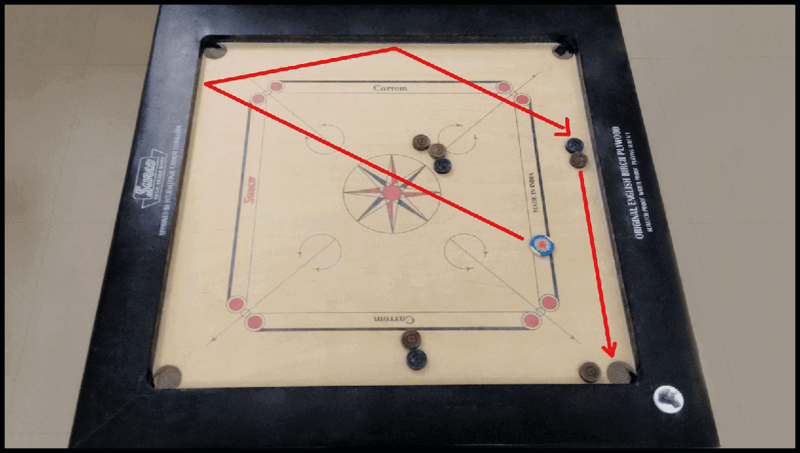 We traced the paths strikers took and the trajectories of the coins (also called carrom men or diskettes) upon impact. Here are four out of the dozens of photographs we clicked by placing coins in various positions, playing a variety of shots and studying the trajectories. We also studied rebounds to get the full picture. The carrom board is where the action is. 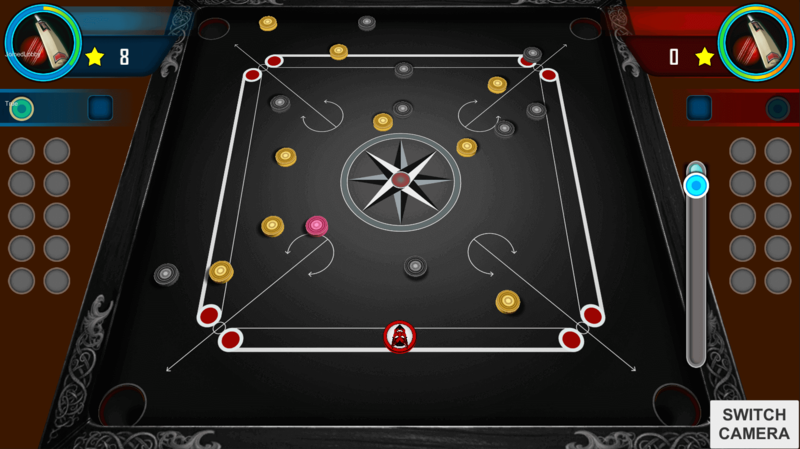 And on a carrom game for mobile, it’s got to be realistic and aesthetically pleasing! We tried many designs and finally arrived at a few designs. Some quick research suggested that while 3D view was more realistic, more appealing, gamers somehow prefered playing with the 2D view. We’ll be offering both the views, however, when we actually launch the game. We designed the basic gameplay and played some games. It was a tough learning curve, since our pieces weren’t moving naturally. At other times, we found it was really, really hard for the piece to move the way we thought it’d move. We’ll be launching our mobile carrom game in 2018. Here’s a few lines where we stand on the four principal challenges at this stage. Friction has proven to be a major limiting factor; we’ve found you can work around it only so much and not beyond. It’s a big challenge right now. 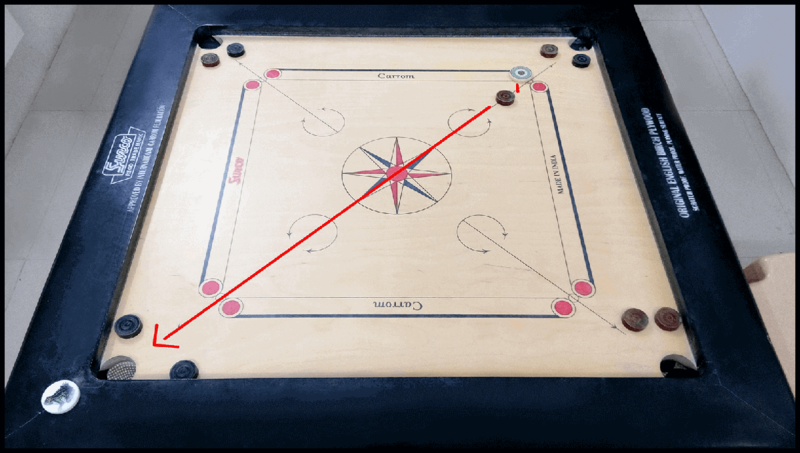 Trajectory is key to carrom mobile game, and after some hiccups, we’re happy we’re making good progress in that. We’re pretty much there with the designs of the board, the coins and the overall surroundings (but we’re open to suggestions!). We’re bringing in some twists too and that should improve engagement and give gamers a wonderful experience. We’ll be coming up with more updates with more screenshots next week! More action ahead! Stay tuned! What do you think of our designs? Let us know in the comments section below! 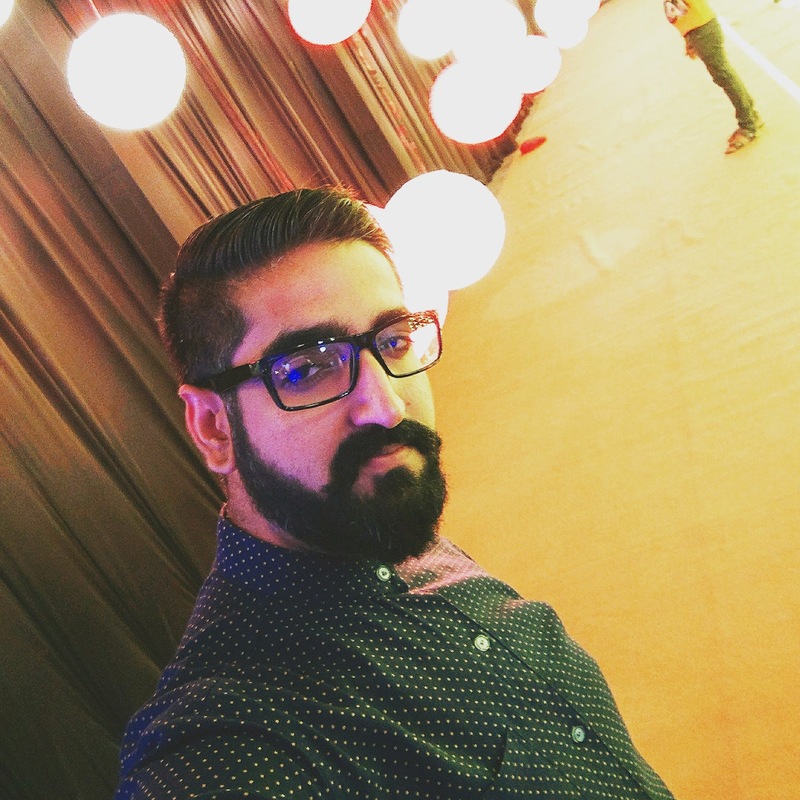 TheAppGuruz is a leading Mobile Game development company. We are proficient in Unity and we have design & developed 500+ Android and iOS mobile games for various client across the globe. If you have any game project that need professional help feel free to contact us. We provide mobile game development services in countries like US, UK, Australia, UAE, Kuwait, Qatar, India, China, Indonesia, Singapore and European countries.